I know I should probably kick off my blog with some awesome running story or insight or inspiration or something, but I have had another topic on my mind lately and I'm trying to work it all out. I'm having a hard time deciding what kind of cookware to buy! My husband and I have been cooking on a set of non-stick pots and pans we got as a gift around the time we bought our house 7 or 8 years ago. I gotta say, I have never really given much thought to what I cooked on or how I treated my cookware so it probably shouldn't have been that big of a surprise when the coating started flaking off here recently on our skillet and one of our more frequently used pots. Time to replace! So I started doing a little research. I figure if I am going to buy some new cookware I might as well put a little thought into it and choose carefully. I always kinda figured that non-stick coating couldn't be all that healthy but didn't really know how bad exactly (pretty bad by the way, the fumes from this stuff cooking at normal temperatures kills pet birds and gives people "polymer fume fever". Seriously, check it out!-see #4 and #5 Just imagine what that stuff is doing to the food!). I've never really been all that fond of the idea of cooking in metal in general. It just can't be good, no matter how nice the cookware is you know that stuff in leaching into the food. There's got to be some healthy, non-reactive cookware out there right? 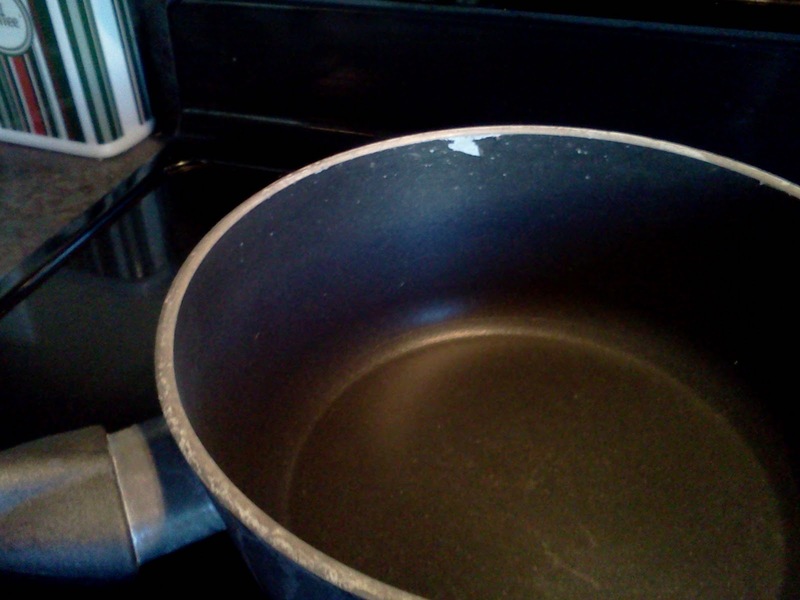 Luckily I found this very helpful article about healthy cookware. True inert or non-reactive materials for cookware are basically either going to be glass or clay/ceramic/earthenware for the most part. Pretty much anything else is going to be at least mildly reactive. Ceramic cookware like this stuff from Xtrema™ Looks good, I just wish I knew more about it or knew someone that has used it. There are some reviews out there but I just don't know. Stove top glass cookware like this stuff from VISIONS® this is apparently best for 'water based cooking' so I would feel comfortable using this with care for soups and pastas and that sort of thing but the skillet makes me a little nervous. CORNINGWARE® StoveTop™ Everyone raves about this stuff! Very versatile, safe for the stove top, oven, microwave and freezer- I love the idea of one pot cooking! But no skillet option (unless I get lucky and find a vintage one second hand). At this point I just don't know. I am leaning towards getting a set of the CORNINGWARE® StoveTop™ and a large piece of the VISIONS® to use as a stock pot and experiment and see what I think. As for the skillet I might just pick up a regular old cast iron skillet for now until I can afford to get an enameled or ceramic one. Cast iron does react with food but its iron that your body needs anyway so I am ok with that as far as health, not ideal for taste however. I will let you all know what I think once I decide and start experimenting with these new cookware options! Does anyone have any experience with any of these types of cookware? Any other ideas I should consider? Tags: cookware, health, whats cooking? Wow, I have never considered it! All this time I've been cooking my kids' food with.... wait, I don't cook. *phew* I was seriously worried for a minute. No, but seriously you've got me thinking! I think this is an important subject, and I'm going to read that article!